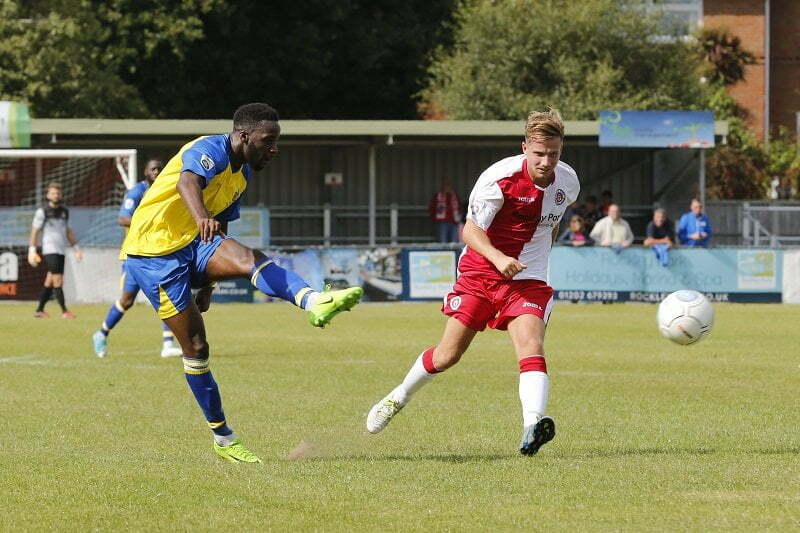 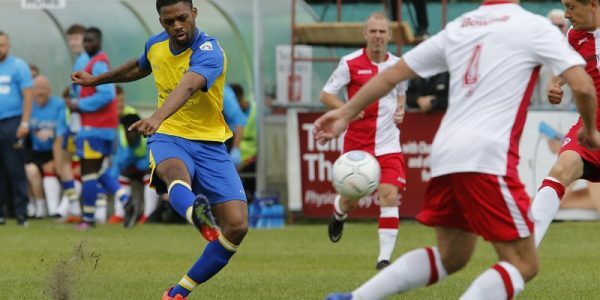 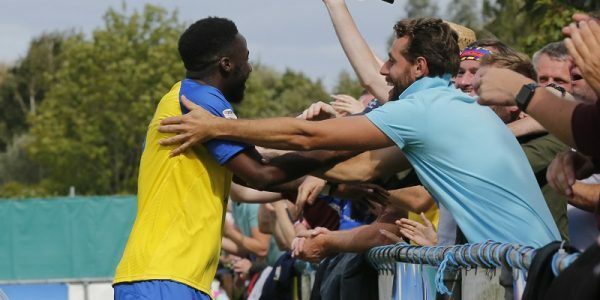 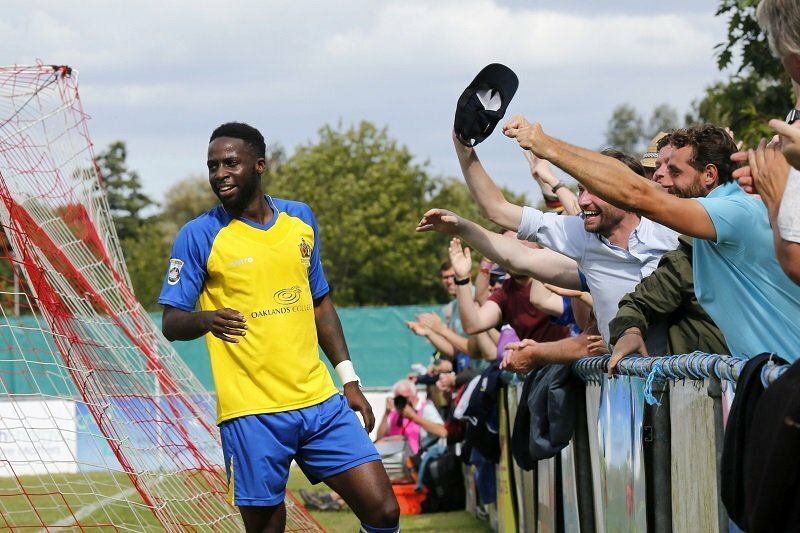 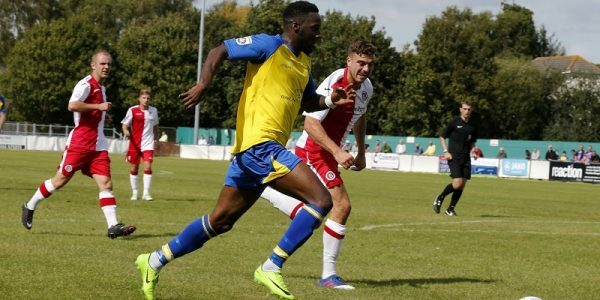 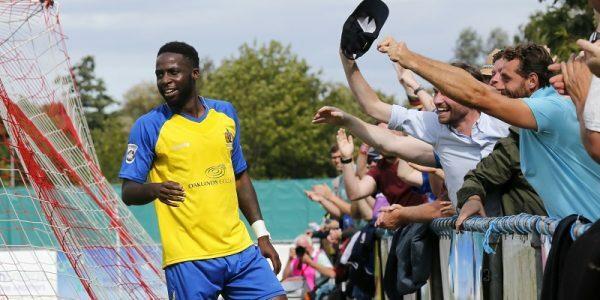 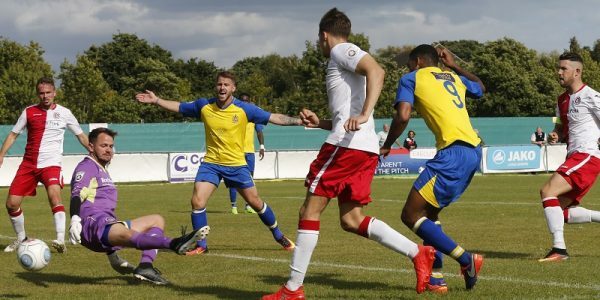 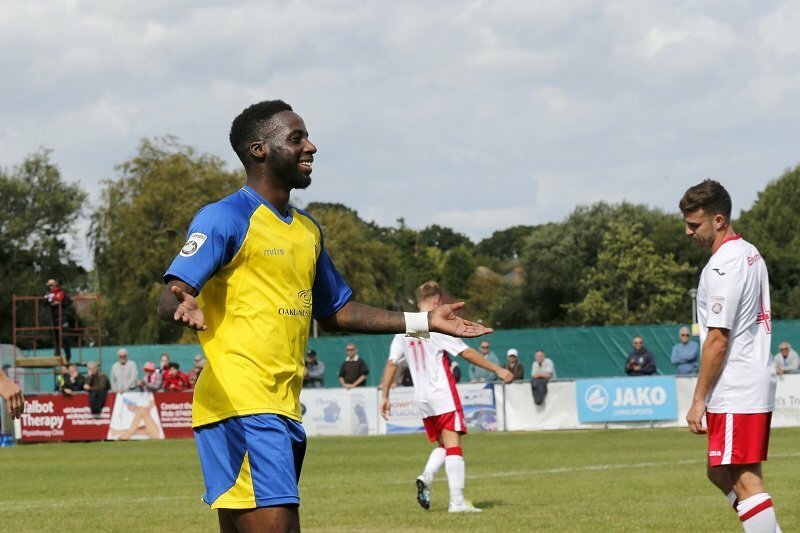 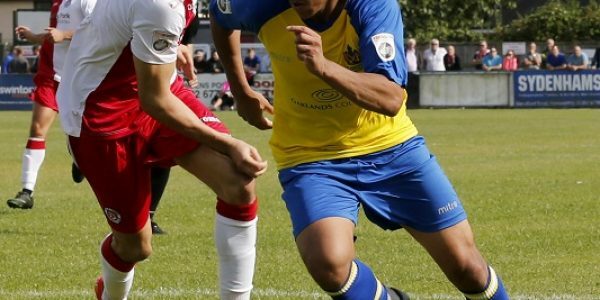 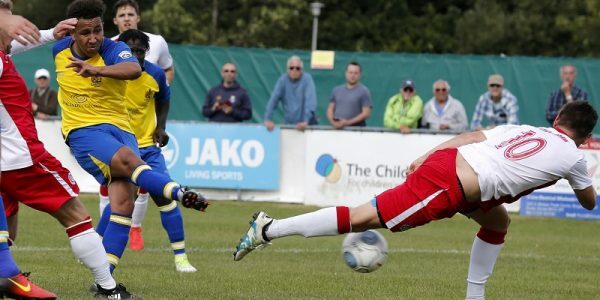 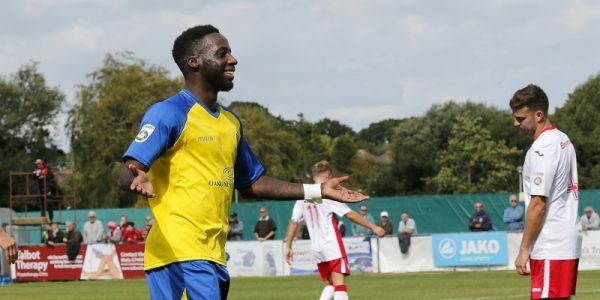 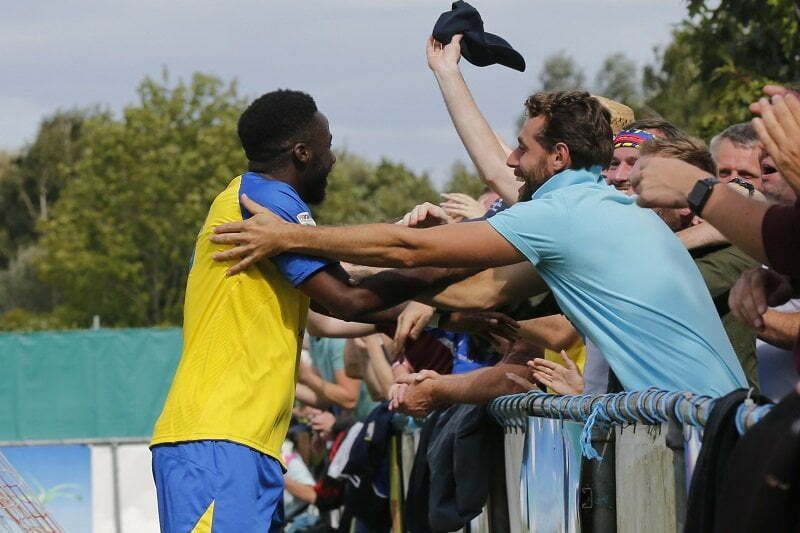 St Albans City made it an amazing ‘five from five’ in the National League South following a staunch 1-0 win over Poole Town at the Black Gold Stadium this afternoon. 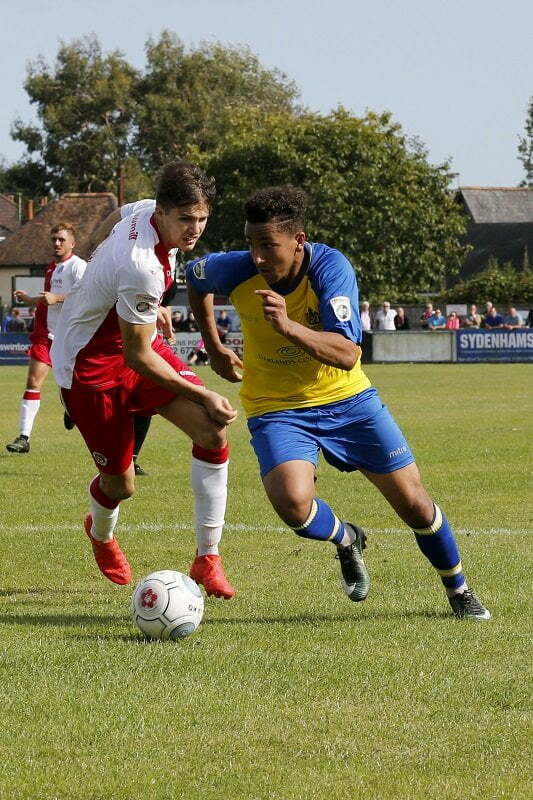 The pitch was hardly conducive to slick football, made for a scrappy affair with the Saints enjoying the better opening exchanges as Banton and Walker in particular looking dangerous for City. 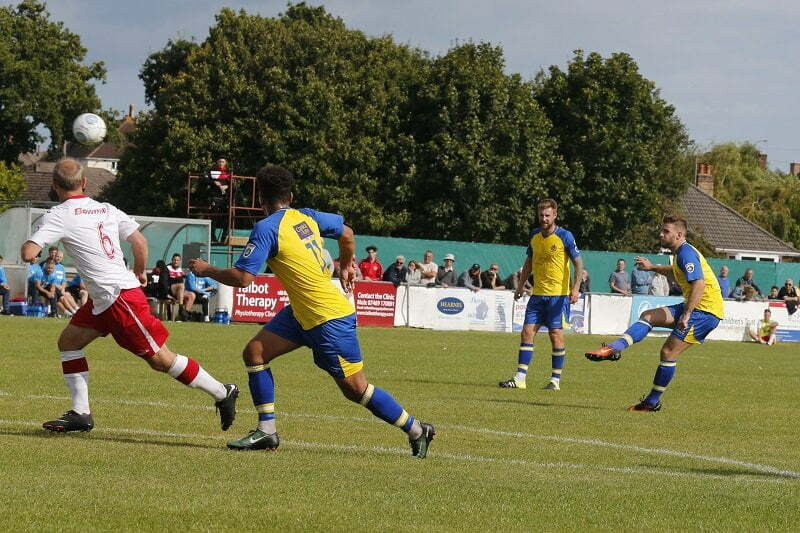 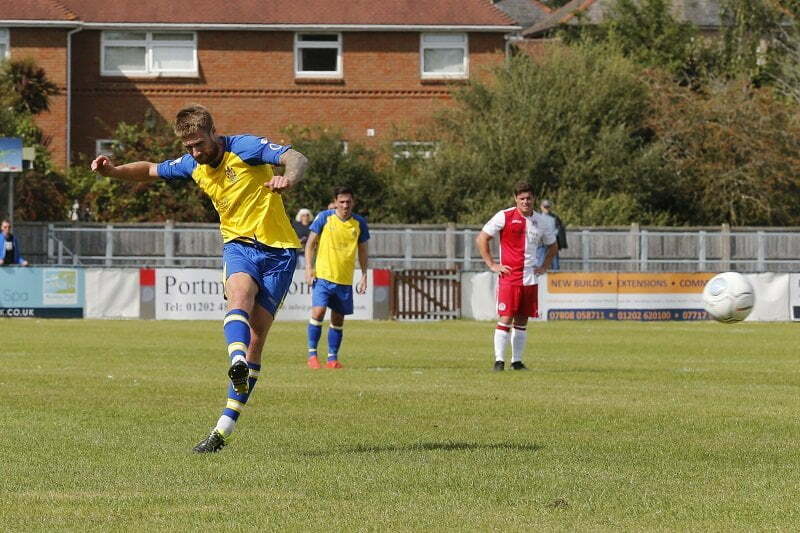 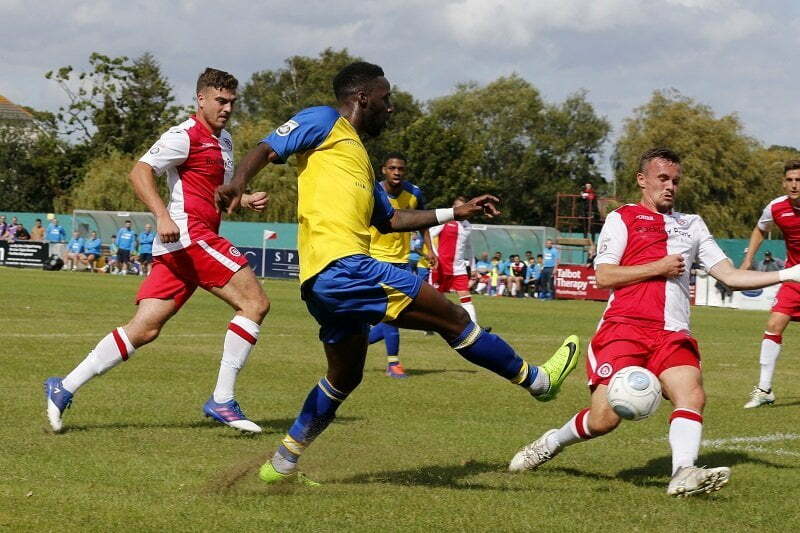 Poole’s attacks were infrequent but well-dealt with by the well marshalled away defence. 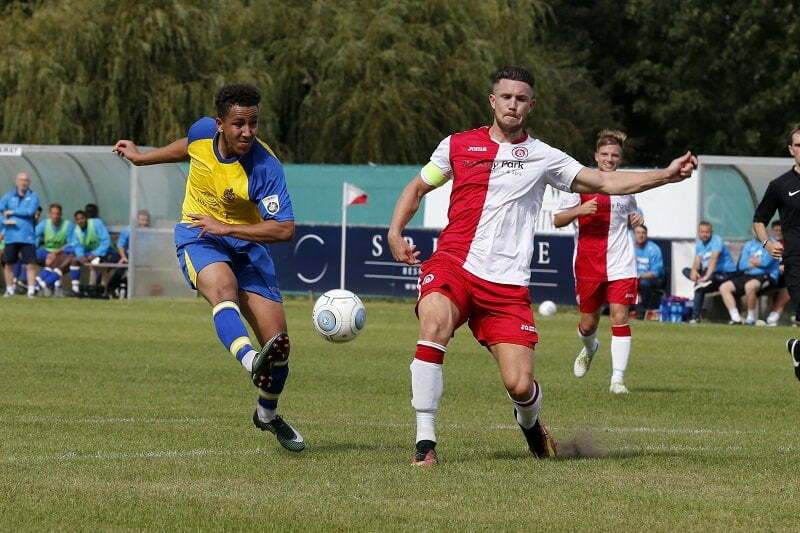 Spetch had Poole’s best chance of the half, heading straight at Snedker as the interval approached but it was City who went into the break courtesy of a sensational strike by Rhys Murrell-Williamson. 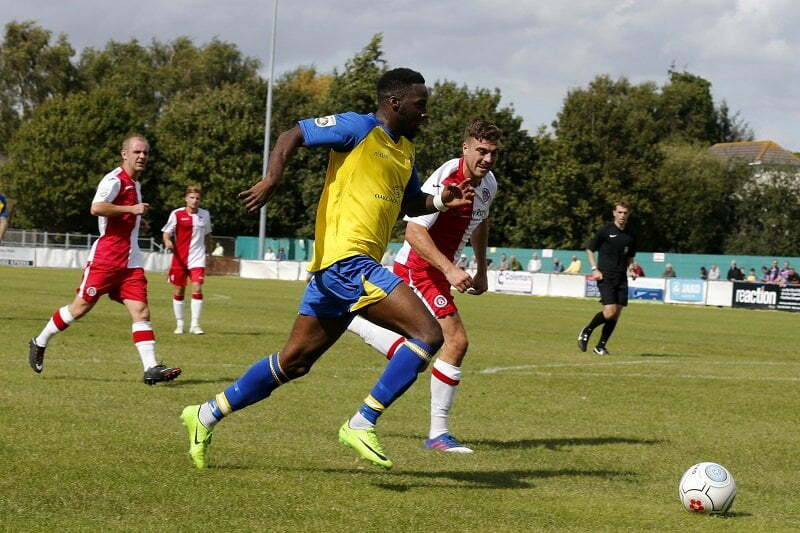 Banton attacked with pace down the left and found Murrell-Williamson just inside the area, who concluded by curling his effort into the top corner. 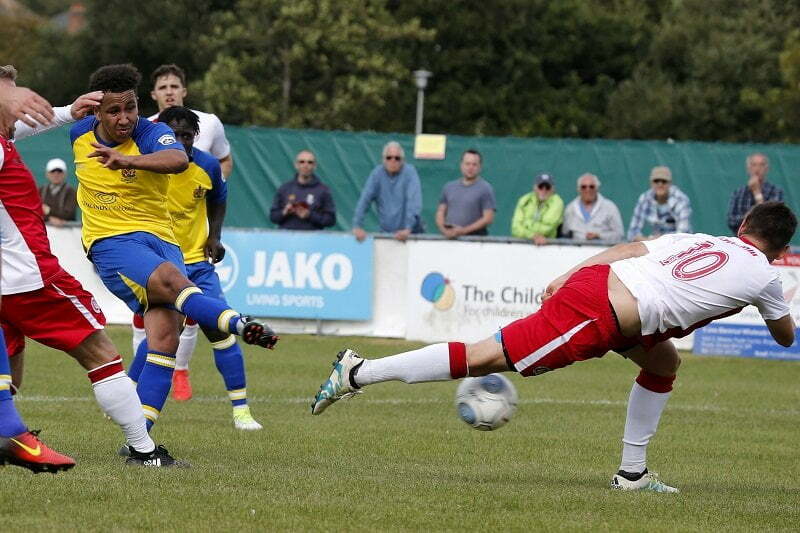 The second half was a more a balanced affair. 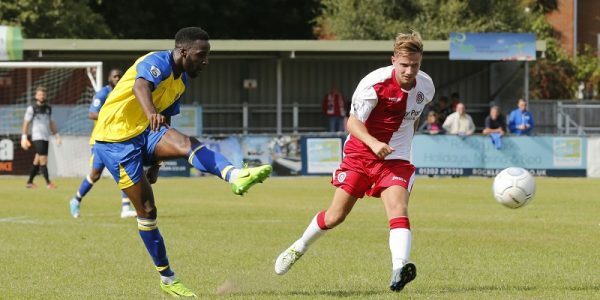 The hosts were improved in both tempo and technique. 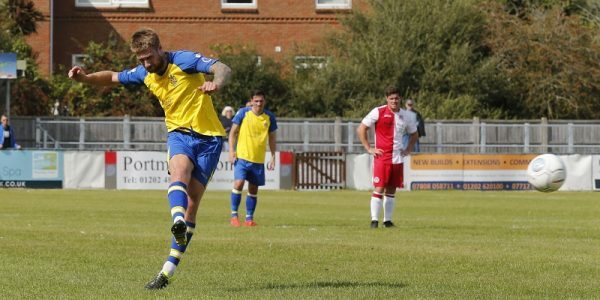 Dickson could only hit the bar with the goal beckoning, an offside flag sparing his blushes. 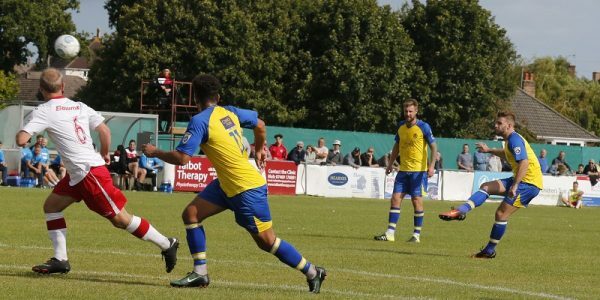 Saints keeper Dean Snedker then produced the save of the match as the hour mark approached, repelling Devlin’s thunderous effort as Poole searched for the equaliser. 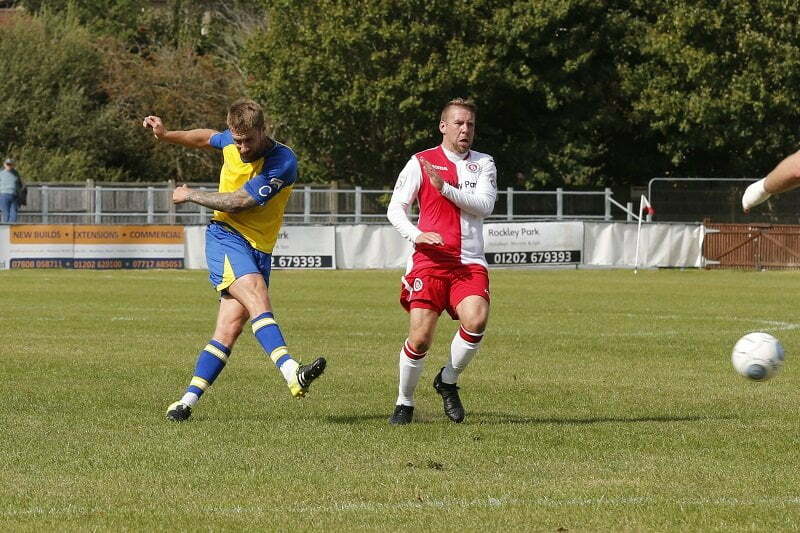 Ian Allinson’s side defended well and always posed a threat on the attack. 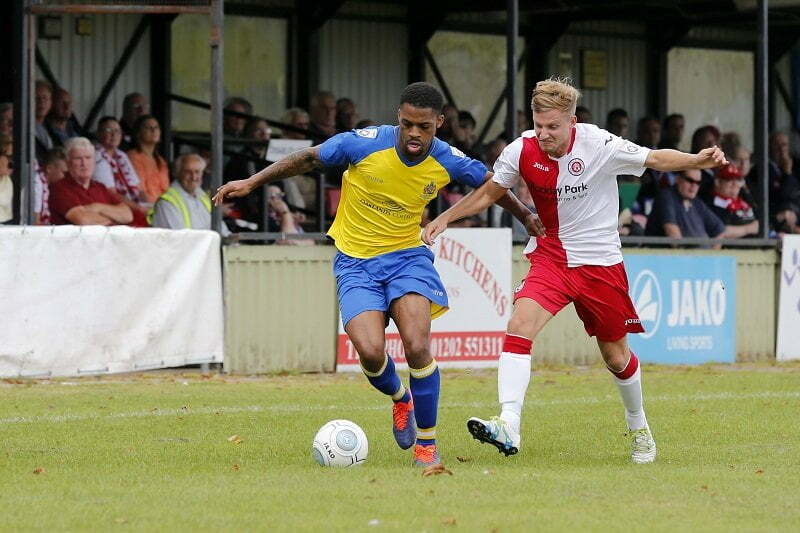 Charlie Walker, Banton and Kieran Monlouis all had efforts blocked as captain David Noble exercised a calm head and started to dictate proceedings in the middle of the park. 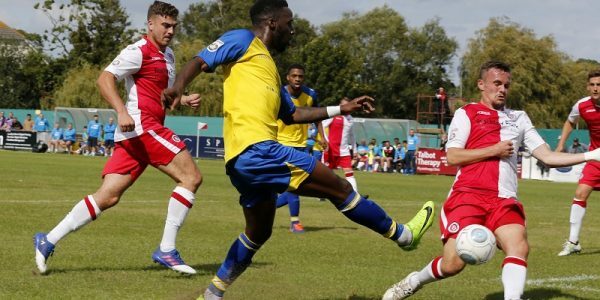 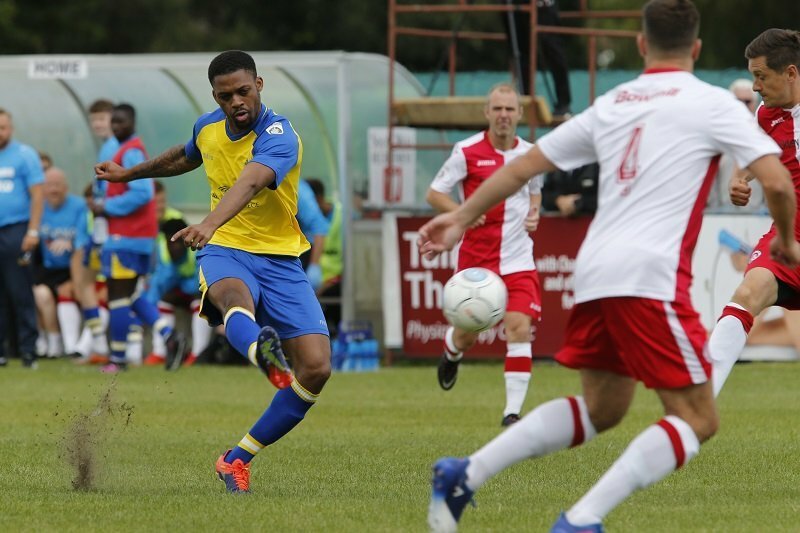 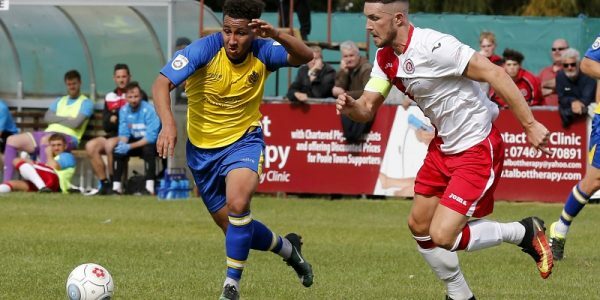 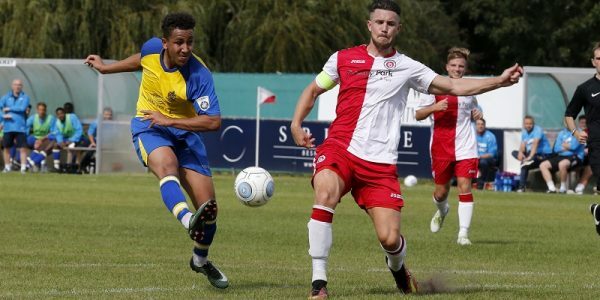 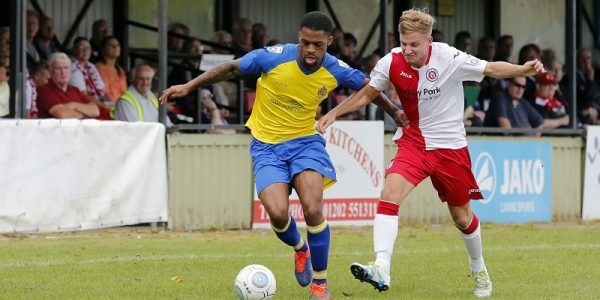 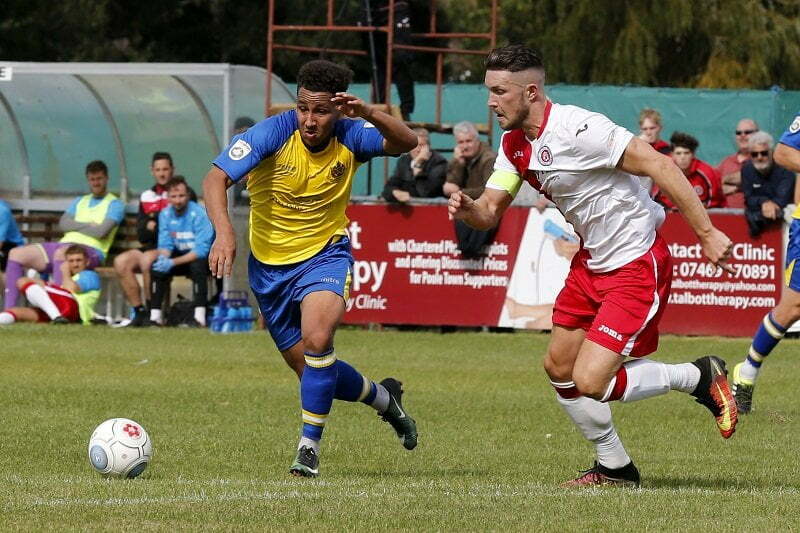 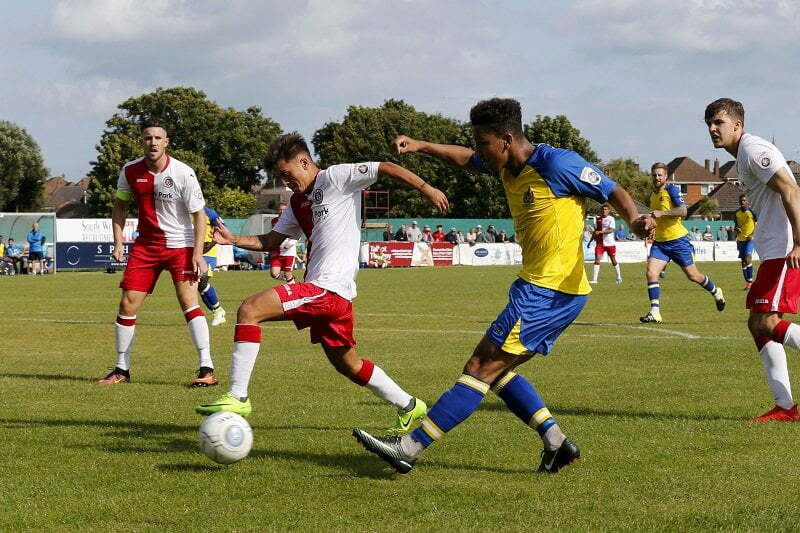 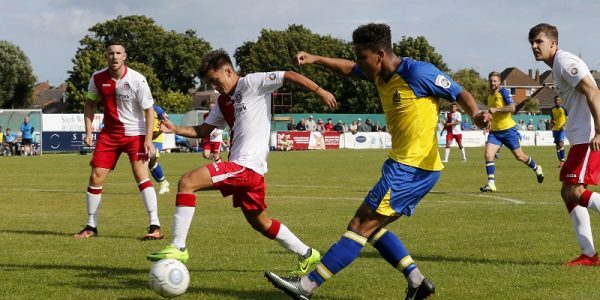 There was no let-up for the Dolphins as Shawn Lucien and Sam Merson were introduced into the fray as the game ebbed into the closing stages. 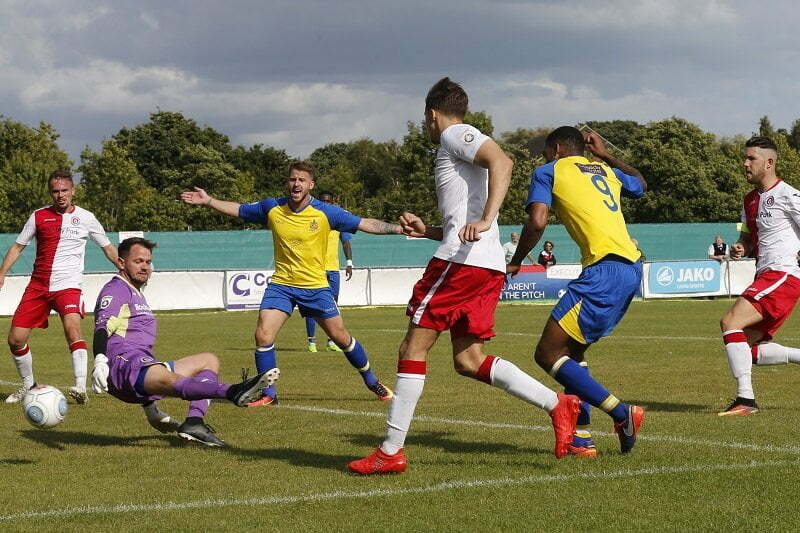 Merson was inches away from doubling the lead following excellent work from the rampaging Monlouis and despite a late home flourish the City defence held firm and now return to Hertfordshire with three points.